Apple's upcoming revamped Apple TV will support a full App Store, and TechCrunch has shared some details on one of the first third-party apps that will be available for the device. According to the site, live video streaming service Periscope is building an app for the Apple TV, which will likely allow users to watch content streamed from the Periscope iOS app. We don't have a specific unveiling or launch date for Periscope on Apple TV. Twitter and Periscope did not respond to our inquiry before press time. The app might be previewed in tomorrow's Apple keynote to show off the potential of the Apple TV software development kit. Apple wants to get developers' minds swirling with ideas for what they could build. 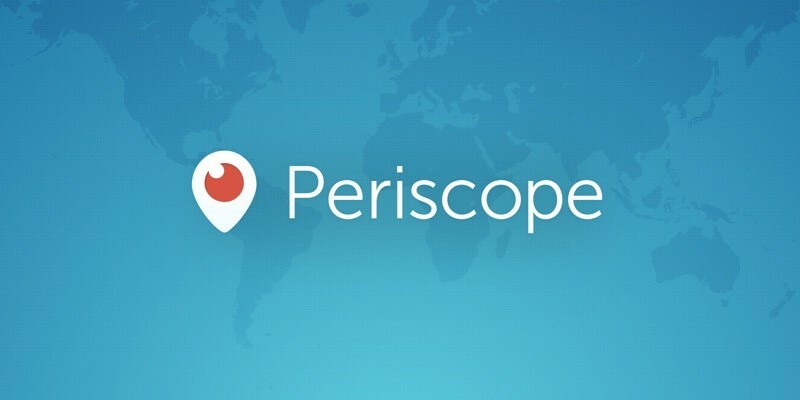 Periscope, owned by Twitter, is an app that allows users to capture and broadcast live video streams. Currently, Periscope videos can be watched solely on the web and through smartphones using iOS and Android apps, but with an expansion to the Apple TV, video streams will be available natively on larger screens for the first time. Apple's revamped Apple TV will debut tomorrow, at the company's iPhone-centric September 9 event to be held at the Bill Graham Civic Center. Along with a full App Store that will include both apps and games, the new set top box will include deep Siri and search integration, a touch-based motion-enabled remote control, an A8 processor, and additional storage space. Apple's event will begin at 10:00 a.m. Pacific Time tomorrow morning. MacRumors will have live coverage both on MacRumors.com and through our MacRumorsLive Twitter account. I will be taping a cheap smartphone to the other side of my TV so that I can use Periscope to see through to the other side. Then I won't have to worry about that pesky TV taking up visual space. Vertical Video Syndrome (VVS) must be eradicated and Periscope sure doesn't help. It looks horrible on anything other than a phone. There's actually something I've grown to hate even more than portrait mode videos... and that is portrait mode videos converted by morons to landscape, such that they cannot be viewed natively even on devices that support screen rotation. At that point they look horrible no matter what screen you view them on. So its just a fact now? No speculation at all? Why would they need to write an app just to let you stream stuff from the iOS app? That's just "AirPlay". Not everyone that has or wants an Apple TV necessarily has an iPhone. Things like this are interesting. It doesn't necessarily have to be Periscope, but after major events, people using social media seem to be the first to give us immediate information. What if one day you're turning on your Apple TV to access Periscope or other services like it for breaking news after a disaster/attack/other? Does that mean the apple tv will have a camera on it? As Apple TV usage and uses grow exponentially, even just having options like this are fascinating. Of course, try explaining that to people..